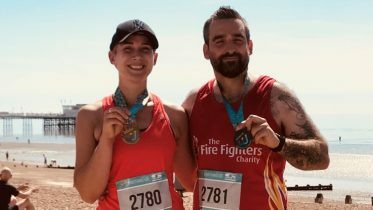 As we're halfway through our Bag It and Bank It textiles recycling campaign, here are ten surprising facts you may not know about our textiles habits, and how we can all do our bit to help the planet as well as The Fire Fighters Charity. 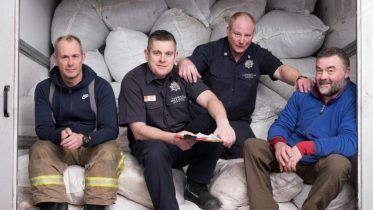 The Bag It and Bank It Championship 2019 is well underway, with fire stations across the country trying to collect as much weight in textiles recycling as possible throughout the month, in order to win the coveted Rag Trophy. In honour of the occasion, we thought we’d bring you ten surprising facts you may or may not know about the nation’s recycling habits, and what we can all do to reduce our carbon footprint on the planet. The amount of clothing discarded in household waste each year is the equivalent weight to all the clothes owned by Londoners. Around 350,000 tonnes of clothing is discarded in household waste every year. 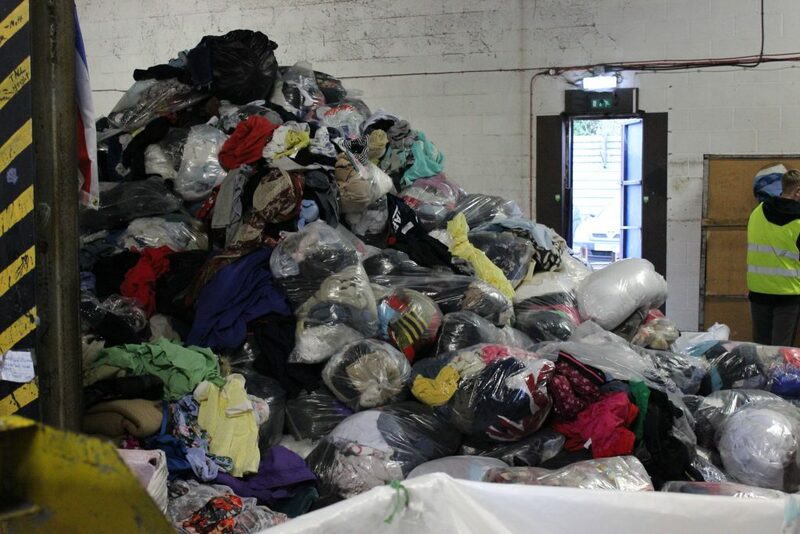 This is around £140 million worth of used but still wearable clothing going into landfill. With a few exceptions, most of this could be processed by our textiles recycling, either being resold or turned into industry production. It can take up to 40 years for clothes to decompose; a cotton glove will take around three months to decompose, wool products between one and five years depending on the fibre, and clothes with nylon in can take between 30 and 40 years. So next time you throw a pair of old tights into the bin, why not consider recycling them instead? And it’s even longer for shoes. Leather shoes will take between 25 and 40 years to decompose, while shoes with a rubber sole will take between 50 and 80 years. As well as taking so long to break down, they also have harmful effects on the environment; on top of releasing harmful gases like methane, most fabrics are made with dyes and chemicals that can contaminate the soil and water in the ground. According to sustainability charity, Wrap, UK consumption of clothing and textiles accounts for 38 million tonnes of annual global carbon emissions, 200,000 litres of annual water consumption per household, and 1.8 million tonnes of waste production. It takes around 700 gallons of water to make one cotton Tshirt, which is the equivalent of around 17 full bathtubs. Or to put it another way, the amount of water it takes to produce one Tshirt is enough to keep one person hydrated for 300 days. By reusing and re-purposing textiles, that is a huge impact we can each have on the planet. The WWF have an online calculator where you can work out your individual carbon footprint. While we accept adults and children’s clothing, did you know we can also accept socks, coats, underwear, paired shoes, handbags, bed linen, towels and curtains to name just a few. 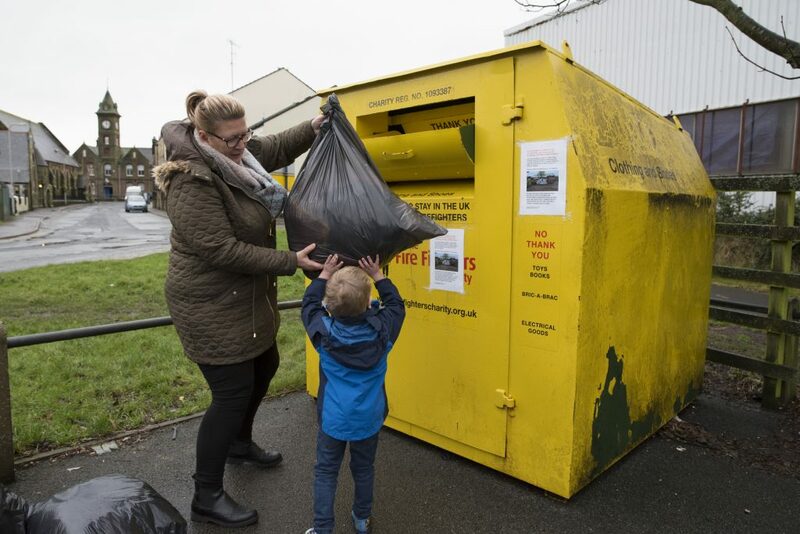 Unfortunately, we can’t recycle duvets or pillows (but your nearest animal shelter would be grateful for them), nor can we take bric-a-brac or uniforms. Be careful though, we’ve had reports of people accidentally donating beloved items, Christmas presents and even the occasional wedding dress. 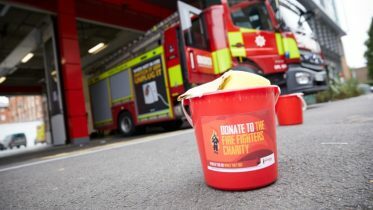 As well as the money The Fire Fighters Charity makes from textile donations (around £3 million so far!) the country can also benefit financially from us changing our textiles habits. The UK could save around £3 billion a year from the cost of the resource we use to make and clean clothes. You’d be surprised the number of times people accidentally put phones, keys, wallets and other personal items into one of our banks. If you’ve accidentally posted something, fear not. Each bank has a phone number on it for you to ring and arrange a mutually convenient time for them to come and open it. Don’t ever attempt to reach or climb into a bank. 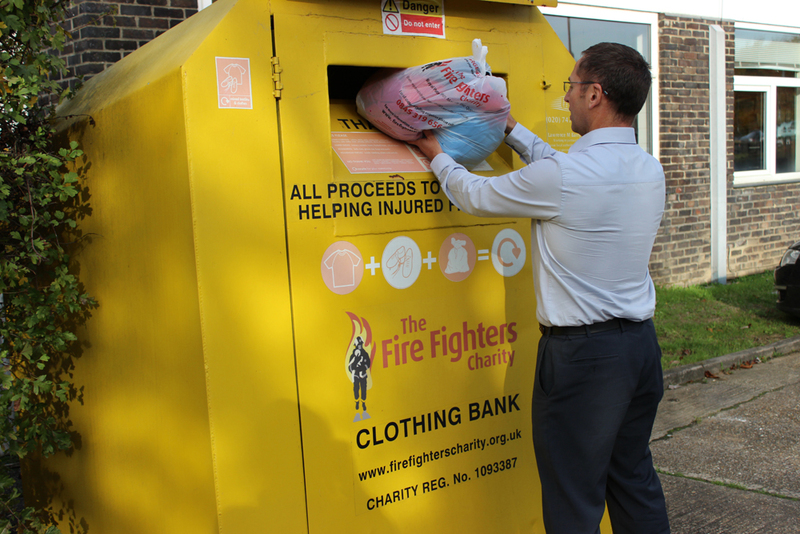 There are textile donation banks on fire stations all over the country and you can find your nearest one via our map. If your nearest station doesn’t have a bank, it will be for a good reason, usually because there isn’t room to feature one safely on a forecourt. According to research, we buy four times more clothing in the UK than we did ten years ago, and wear it for half the amount of time that we did then. The BBC’s programme The Price of Fast Fashion shines a light on how the fashion industry designs and produces clothing so consumers won’t want to keep it as long. Thanks to Japanese tidying expert, Marie Kondo, whose new show on Netflix shares the joy to be found in tidying and de-cluttering, even more people than ever are having a January clear out. If you’re one of them, please make sure you’re putting your textiles into one of our banks, this would definitely spark joy for us! If you’ve been inspired by any of this and want to shop more sustainably, you might want to check out Elvis and Kresse via our online shop. Since 2005, they have been rescuing London’s retired fire hoses and lovingly handcrafting them into luxury bags and accessories. 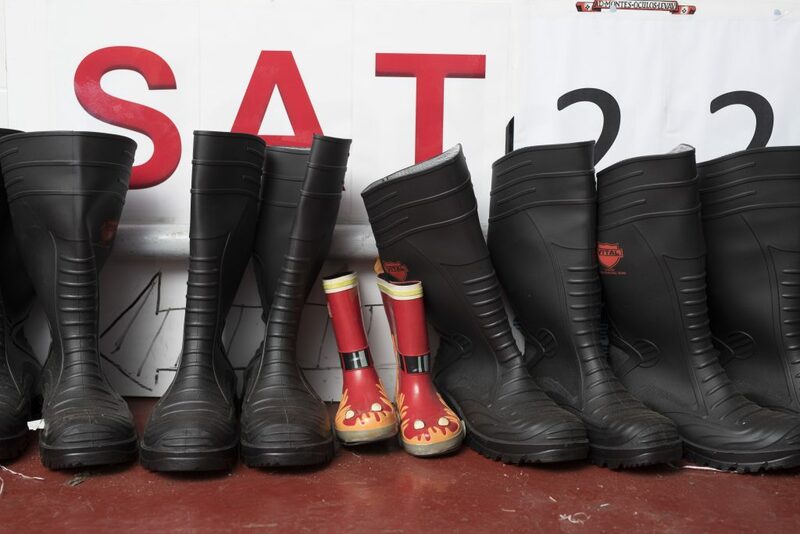 And what’s more, they donate 50% of the profits from their fire hose range to us. 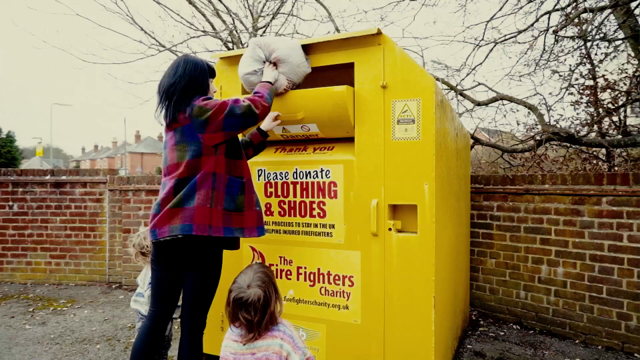 And if you need any more reason to donate your unwanted textiles to us, make sure you check out our real-life stories to hear from the everyday heroes of the fire and rescue service, whose lives we help recover. 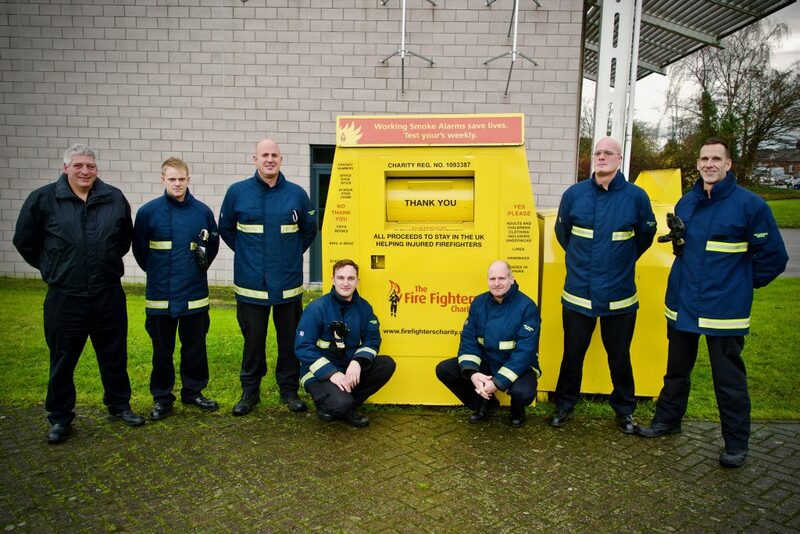 Hear from fire and rescue service personnel who have already benefited from our support.